Thank you very much for the comments and for visiting my bLOG. I remember the dull SAS of the 90's with it's minimalist approach in every single way: the service, the cabin and their uniforms. They did nothing to truly stand out from the rest, nor did many other airlines either. Now, we have a very different SAS, a freshly reinvented, redecorated, redressed and re-entered in a style very uniquely Scandinavian, yet International. Their Business class is outstanding, but as back then, there are individuals in their flight crews that makes any flight enjoyable. From my previous business class flight from Arlanda to Hong Kong, there was one Swedish-speaking Hong Kong-Chinese air hostess that took care of me with care and passion, that made my flight extra super-personal. Her smile, and her eye-contact set me up for the perfect flight, from the moment I boarded and till I deplaned. More about this in my travel bLOG. I guess you have already seen and read my piece called something like "Why I love Scandinavian". For those of you following my bLOG and social media like Instagram, you will already have learned of my entry into the restaurant industry. 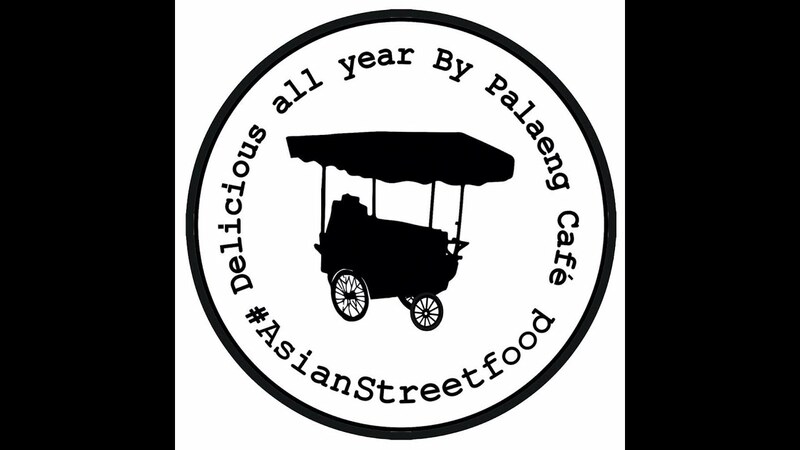 On the 8th of August 2018, we opened an Asian Street Food Café at Trondheim, Norway. I'm one of the part owners and so proud of our sudden popularity and success. I feel elated at working with customers again, and taking care of guests the best way I possibly can. This is a video with some clips from the opening ceremony on August 8th 2018... the whole story and background is currently being written and will be shared on my bLOG for all interested to read. This should be a little more background to why, when and how.... at least, if nothing else. Ohhhh I was here and on YT earlier, and now here's a very special bonus treat indeed! Wonderful, and I'm so very thrilled for you all. Thank you very much for your kind visit and comment... hadn't it been for you, I wouldn't have much encouragement to continue my bLOG, vLOG or posting here. Appreciate your well-wishes. It is said, that opening a restaurant (cafe) is the hardest thing you can do in Norway. Understandable, because the Government is trying their very hardest in making it really complicated for anyone opening anything, with rules, requirements, and what not. Throwback earlier this week - on a Thursday actually. Another Throwback Thursday.... strange, the link says week 15... but it should be week 35. As some of you may have noticed from my youtube, I'm heading to Hong Kong again tomorrow for work. I'll be away for nearly 2,5 weeks but will occasionally try to log in and see how my CVF family is doing. Tomorrow will be an early morning with flights from TRD to OSL and then ARN, and eventually to Hong Kong. All with SAS, Scandinavian Airlines, naturally. I'm so super excited to go! In case anyone is wondering about our Captain as typhoon Mangkhut hits Hong Kong, no worries - he is in Thailand Currently at a resort hotel - looks like a pool room/villa, so I'm looking forward to a review in his travel blog when he returns! I seem to have been existing in 'virtual Asian time' this last week, what with the typhoon, Captain's travels and now this weekend, the Formula 1 race in Singapore! Last edited by Seagull; September 17th, 2018, 11:53. Reason: ...added link to 'the appropriate thread'.